Great news for all Google fans users of Apple computers. 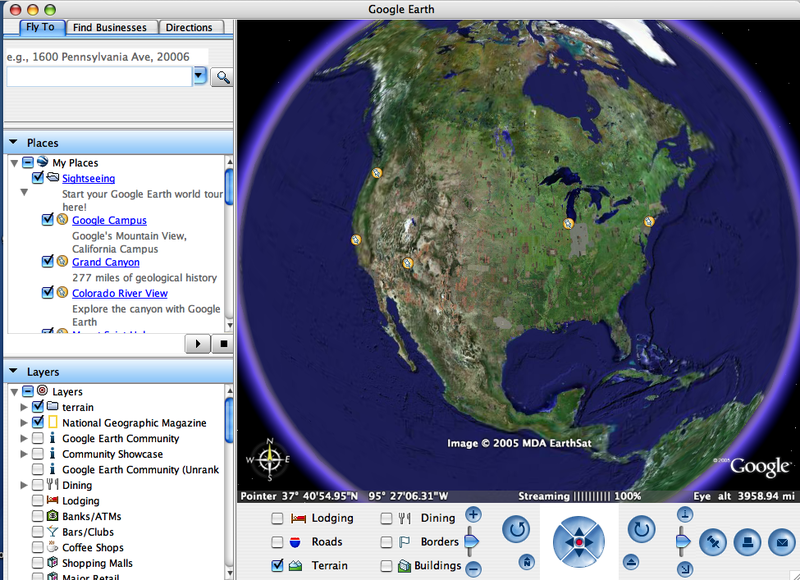 Google has released today a new version of Google Earth that runs on Apple Mac OS X. This is a good sign, because it means that Google is really willing to provide versions of his software for the Mac platform. Although I know that they always promissed support for Mac, it has not always been the reality to see the actual support. I hope this is just the beginning of several other ports of Google tools for Mac. 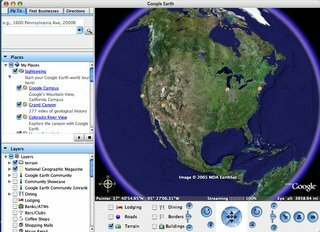 For example, it would be interesting to see Picasa for Mac (although we have already the iPhoto -- the only reason would be for sincronization with other Google tools).